The only option to escape this data collection is to turn off all GPS services which almost kills the purpose of buying an iPhone or iPad. 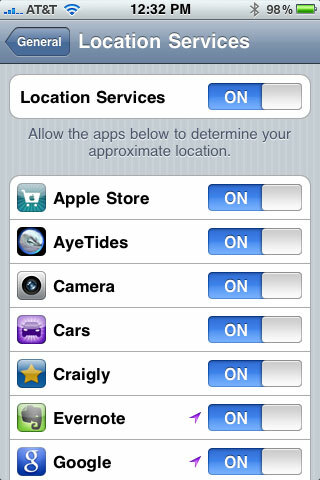 A little compensation comes in the form of the “Location services” page in the new iOS 4 that allows users to prevent apps from using location data. However, it is not confirmed if this will also prevent Apple itself from collecting, storing and sharing users’ data. Previous post: Google Voice Now Open to All in the U.S.